There is high demand for skilled women in the hospitality trade, but women face stiff familial opposition, right from the moment they enroll in courses. Aurangabad: Banudas Sonawane is an angry man: Angry that his eldest daughter, a 19-year-old, joined a hospitality course without his permission. Angry that the girl, Anita, didn’t call home often enough while she was at the two-month long residential course – even though he had given her a paid up SIM card. Angry that the job she was offered after the course was, in his eyes, low in status. Angry that a government job did not come her way. Most of all, Banudas is angry by an apparent correlation between girls who get jobs and love marriages. Father of five girls and one boy (the youngest), Banudas drives a truck for a living and is pretty sure of what is going on in the country. Part of the problem in recruiting women is a ‘mindset’ problem. “There are a lot of openings at the entry level but huge barriers to entry. There’s the issue of mobility – if the job is not near her home, then where will she live? If hotels don’t provide hostel accommodation, getting one on rent is tough. Landlords don’t want to keep single women because of the perceived burden of ensuring ‘safety’ for them,” said Medha Uniyal, programme director, Pratham Institute. Earlier, the girls would study till grade seven and then be married off. Now they have a choice. “We have seen that the institute has a very good atmosphere and it is safe to send our girls there,” said Ali. The bad news is that it only explains part of the decline that occurred across all age groups. The World Bank report pins an actual figure: 62% of women in rural India who quit jobs did it for reasons other than education. 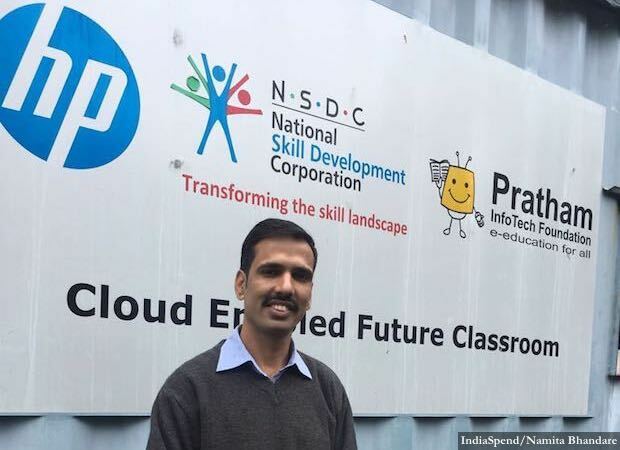 In urban India, 28% quit for reasons other than attending school. Chef Swati Shinde, an assistant food-production trainer, had no such problems. As a single mother to a five-year-old son, she knew she had to get a job to survive – just as her mother had worked after her father’s death. Yet, her choice to train as a chef is unusual for most women tend to opt for housekeeping or food and beverage. 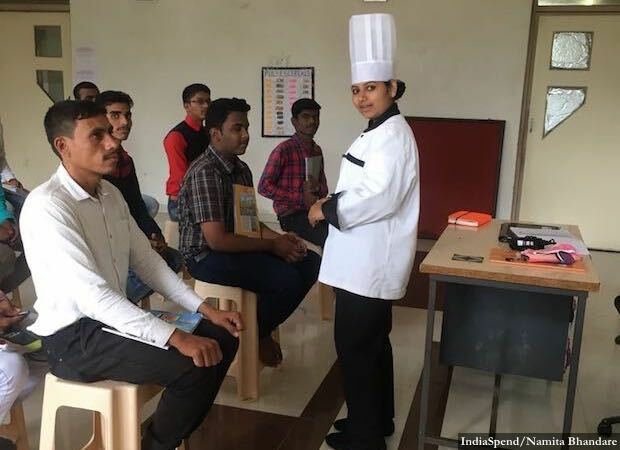 “Being a chef is hard physical labour and not all women can do it,” said Swati, who after a seven month job at Cream ‘n Crunch café now works at Pace, teaching other men and women to be a chef. It’s a job that gives her a place to stay while her mother, Ashabai Shinde, takes care of her son who studies in grade one at Sant Gyaneshwar School in Ranjangaon, a district of Aurangabad. Swati was married soon after she completed grade eight in school. Her husband, though wealthy, was a drunkard who beat Swati “like a mad man,” said Ashabai. Today, Swati said, she earns enough for her mother to lead a retired life – she owns her own place and rents out a part that gives her an income to take care of her personal expenses. Namita Bhandare is a Delhi-based journalist who writes frequently on gender issues confronting India.